Getting a restful night’s sleep is one of the most important ways to reduce stress and ensure optimal health. Without adequate sleep, you may be more likely to experience weight gain, elevated blood pressure and decreased immune function. According to Harvard Medical School, sleep difficulties are common, affecting about 75 percent of people at least a few nights every week.1 In this Wellness Express newsletter, we will discuss the top things you can do to build a sleep sanctuary to promote healthy and restorative sleep. Sleep hygiene encompasses the many different practices you can perform to experience normal, quality nighttime sleep and optimal daytime alertness. The National Sleep Foundation states that the following practices can improve your sleep hygiene and overall health: Avoiding excessive daytime napping, avoiding stimulants such as caffeine and nicotine and food consumption too close to bedtime, getting sufficient exercise (especially in the morning) and eating your largest meal around midday. Creating a relaxing bedtime routine is another important aspect of sleep hygiene. Reading for only short periods before bed, banishing television sets, computers, smart phones, and other electronic devices from your bedroom, and avoiding emotionally charged conversations before turning in are helpful strategies to promote healthful sleep. Another important pre-sleep ritual you may find helpful and refreshing is foot washing. Washing your feet before bed feels great and helps keep your sheets clean. long-term adverse effects on your health. 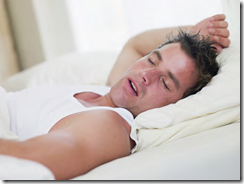 Reducing your exposure to street noise when sleeping is also important. Journal, urban dwellers living in noisy areas have a greater risk for sleep disturbances than people living in quieter areas. Also there may be an association between residential road traffic noise exposure and hypertension (high blood pressure) notes a 2007 study published in the journal Occupational and Environmental Medicine. Find a room temperature that works well for you or you and your partner and select bedding that helps with thermoregulation. Certain sheets, such as bamboo sheets, are absorbent, breathable, and thermoregulating, due to the structure and the expanding and contracting nature of the fibers with varying temperatures. Room design is a crucial part of building a comfortable and serene sleep sanctuary. Consider keeping your bedroom free of clutter, as clothes and nonessential bedroom items may distract you from resting. Use lamps for lighting instead of overhead lights. Warm, dim light, which mimics nighttime, is best. Rugs and wall hangings can help soften your bedroom’s acoustics and soothing colors or patterns can help you achieve feng shui balance in your bedroom. Feng shui principles also suggest keeping the area underneath your bed open and clutter-free. http://prioritylifechiro.com/wp-content/uploads/2015/12/logo-5.png 0 0 Mick Bird http://prioritylifechiro.com/wp-content/uploads/2015/12/logo-5.png Mick Bird2012-11-11 21:20:452015-12-14 21:24:07Are you Sleeping?